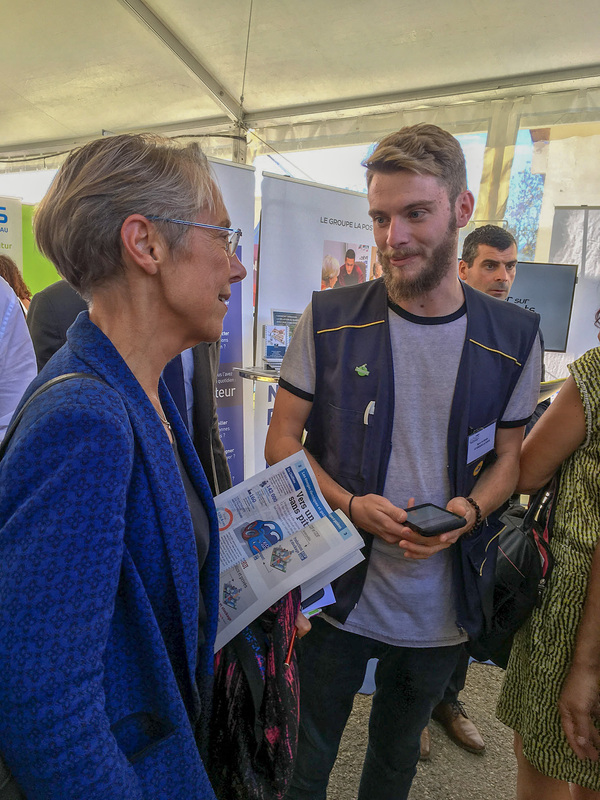 Le Groupe La Poste took part in the National Conference of the French Rural Mayors’ Association (AMRF) on 21 and 22 September in Saint-Léger-les-Mélèzes (Hautes-Alpes). Among those present were Jacques Mézard, Minister of Territorial Cohesion, and Élisabeth Borne, Minister for Transport attached to the Ministre d’État, Minister for the Ecological and Inclusive Transition. Florian Spira meets Minister Élisabeth Borne. 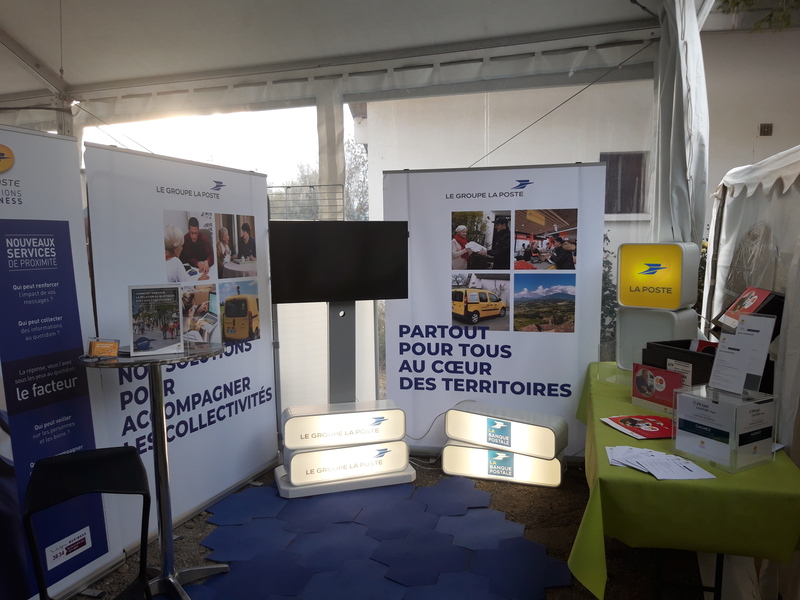 At Le Groupe La Poste’s stand, elected officials discovered Docapost’s Citizen Relationship Management (CRM) solution, which offers a town’s residents a website where they can carry out various administrative formalities online. The AMRF has also just signed a partnership with La Poste for the rollout with its members of ‘Campagnol’ websites and Docapost’s Citizen Relationship Management platform, Localeo. This rollout will focus firstly on the websites of some 800 subscribing rural communities. The AMRF and Le Groupe La Poste will then work on enhancing this offer by incorporating innovations to make it a genuine multichannel package of services. To this end, the Group, beyond the solution’s digital input, will be able to highlight the value of its physical network and daily contact with its postmen and women, all connected, to offer citizens the most suitable channels for their needs and expand the base of services offered: childcare, assistance for the elderly, culture, etc. Led by Philippe Baeteman, a market researcher at La Banque Postale, it provides a better understanding of the risks and how to take into account the specific characteristics of rural communities when it comes to planning funding. “Half of the contracts we sign in the local authorities market concern a town with fewer than 5,000 inhabitants. We know these areas very well, and this study showcases our expertise,” Jorge continued. This report will now accompany La Banque Postale’s teams in a tour of France’s rural communities. The AMRF brings together, informs and represents the mayors of towns with fewer than 3,500 inhabitants all over France. The association is committed at both the local and the national level to defending and promoting the specific issues of rural life. Created in 1971, the AMRF gathers some 8,000 rural mayors into a network of departmental associations, acting with total independence from political powers and parties.